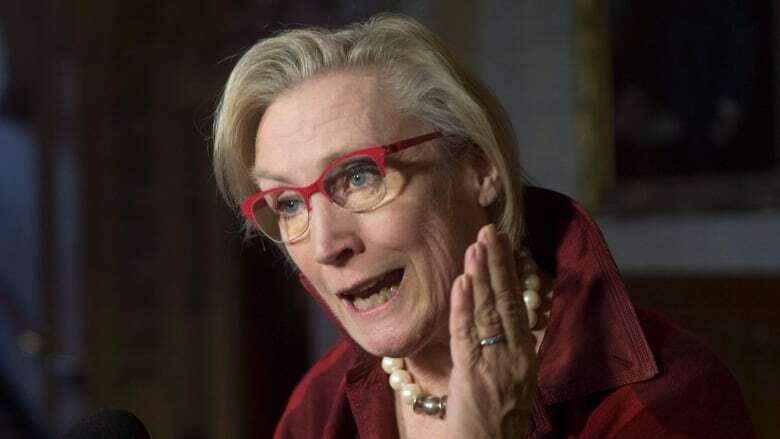 Indigenous Affairs Minister Carolyn Bennett vows to support an NDP motion demanding an emergency injection of funds into Indigenous child welfare services to comply with legal orders from the Human Rights Tribunal. Indigenous Affairs Minister Carolyn Bennett vowed Monday to support an NDP motion demanding an emergency injection of funds into Indigenous child welfare services to comply with legal orders from the Human Rights Tribunal. Charlie Angus, the NDP's Indigenous affairs critic, who introduced the motion, said Monday the government needs to immediately invest an additional $155 million and establish a plan to meet the "bare minimum," in the future, of the tribunal's ruling. Bennett said via Twitter the "Liberals will vote in favour of the motion tomorrow." Later, before question period, Bennett said that the she is on the "same page" as the NDP. "We want the kinds of changes that really will be the real reform. We want to end the discrimination." The tribunal ruled in January the federal government has consistently failed to provide services to First Nations children comparable to those offered by the provincial system, and that the resulting funding gap is state-sanctioned racial discrimination. The quasi-judicial tribunal has issued two compliance orders since then to force the Liberals to take immediate action and rectify funding shortfalls to ensure First Nations children who primarily live on reserves have access to public services on the same terms as all other Canadian children. Budget 2016 committed some $635 million over five years in new funding for child welfare services, but most of that money is back-loaded to 2019, and 2020, a year after the next scheduled election; Roughly $71 million will be spent this fiscal year. "If I was part of a company, or a regime, that had been found to be racially discriminating against 163,000 children, my first response would be 'Oh my god. How do I stop doing that today? What do I have to learn to stop doing that today, and how do I make those children's lives better?" 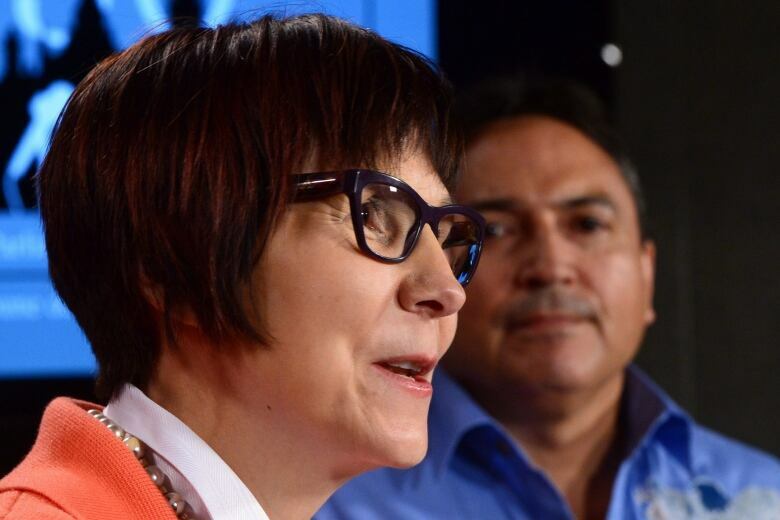 Cindy Blackstock, the executive director of the First Nations Child and Family Caring Society, said Monday. "While it might be OK for the government to say we can wait five years, it's unacceptable to these children. And that's who I'm serving — the kids." Senator Murray Sinclair, the former commissioner of the Truth and Reconciliation Commission who was recently appointed by Prime Minister Justin Trudeau to the Red Chamber, said the government cannot simply pay lip service to the motion's call for action. "Canada's discriminatory policies have led to greater failed, and failing, interventions into the lives of Indigenous families than residential schools, and serious changes must be undertaken," he said Monday. "I cannot overstate how important it is that the federal government immediately comply with the orders of the independent Human Rights Tribunal." Child welfare services for Indigenous children include mental health and substance abuse treatment, early childhood education, family counseling and, in some cases, removing children from their homes if they face maltreatment. 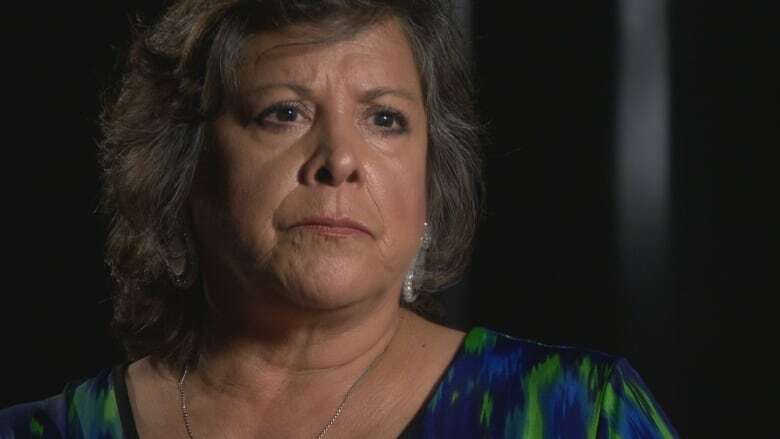 The promise to support the motion comes after Bennett and Cynthia-Wesley Esquimaux, an expert in intergenerational trauma in Indigenous communities and the government's new special representative on child welfare, last week raised questions about the price tag of correcting gaps. "We agree with the tribunal that future funding must not be based on an arbitrary formula or figure created behind closed doors in Ottawa," Bennett said of the NDP's $155-million figure. "Rather, it must be based on the actual day-to-day needs of agencies." Yvonne Jones, Bennett's parliamentary secretary, said she did not see a dollar amount in the tribunal's ruling, which called for corrective action. "Why did the member pull this number out of thin air as opposed to honouring the recommendation that the tribunal made?" Wesley-Esquimaux also said in an interview with CBC Thunder Bay that the Liberals are prepared to invest, "but they are not going to take money and throw it up in the air like confetti and hope it lands where it needs." "They want to be able to do this systematically and strategically to ensure that the people who need the resources, immediately, get them," she said. Angus said the characterization of money for First Nations children as "confetti" was deeply troubling. "I welcome the government's motion, but I want to see action," Angus told reporters Monday. "Stop fighting the children, and put in place the measures that are credible. And stop ridiculing and undermining the numbers." Blackstock, who initiated the legal action against the government at the tribunal, said she was puzzled by the government's reaction to the $155-million figure. "We need money on the ground for these kids.... It's interesting that the government is critiquing these numbers because many of the documents that they're based on are [Indigenous Affairs] documents. For those members who are saying you can't throw money at inequality, they're wrong." Bennett has said funneling money into the existing system is unpalatable — and "transformational change" is required — as the tribunal found the current complement of programming racially discriminatory. "Putting too much money into a failed system can actually cause really bad results," she said during debate on the motion last Thursday. "At the moment, we pay and the provinces deliver and the children are not doing well. "Our job now is to engage with the provinces and territories to change the way the services are delivered. There are more children in care now than there were at the height of residential schools. That has to stop." The motion also urges the government to adopt "Jordan's Principle," which says no Indigenous child should suffer denial, delay or disruption of health services available to other children because of jurisdictional battles. The principle is named after Jordan Anderson, a five-year-old boy with complex needs who died in hospital in 2005 after a two-year battle between the federal and Manitoba governments over his home care costs. Health Minister Jane Philpott said Monday her department has been "extremely active" on this file in recent months, and more than 900 more children are now receiving care. "We put forward $383 million that we estimate will be required over the next three years in order to [implement Jordan's Principle] and we have case workers across the country now going out, proactively identifying children who have not had the care they need." Immediately investing an additional $155 million in new funding for the delivery of child welfare services and establishing a funding plan for future years. Implementing full definition of Jordan's Principle. Fully complying with orders made by the Canadian Human Rights Tribunal and committing to stop fighting Indigenous families in court who are seeking access to services covered by the federal government. Making public pertinent documents related to the overhaul of child welfare and the implementation of Jordan's Principle.